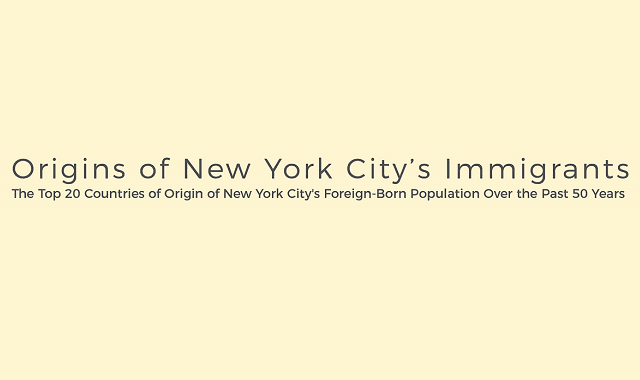 The Origins of NYC's Immigrants: Which Country Has the Highest Foreign-Born Population in New York City #Infographic ~ Visualistan '+g+"
New York City is referred to as America’s Melting Pot, bringing together a vibrant range of culture, language, and glorious food! The Big Apple owes its unparelled diversity to decades of immigration. Today, the immigrants that are arriving in New York City vary significantly from those who arrived several decades ago, with a steady decline of immigrants from European countries such as Italy, Poland, Russia, Ireland, and Germany and an increase of immigrants from China and island nations such as the Dominican Republic and Jamaica. In fact, the Dominican Republic is the primary source of foreign-born residents in New York City today, representing 13.7% of all foreign-born people who call the City That Never Sleeps home. 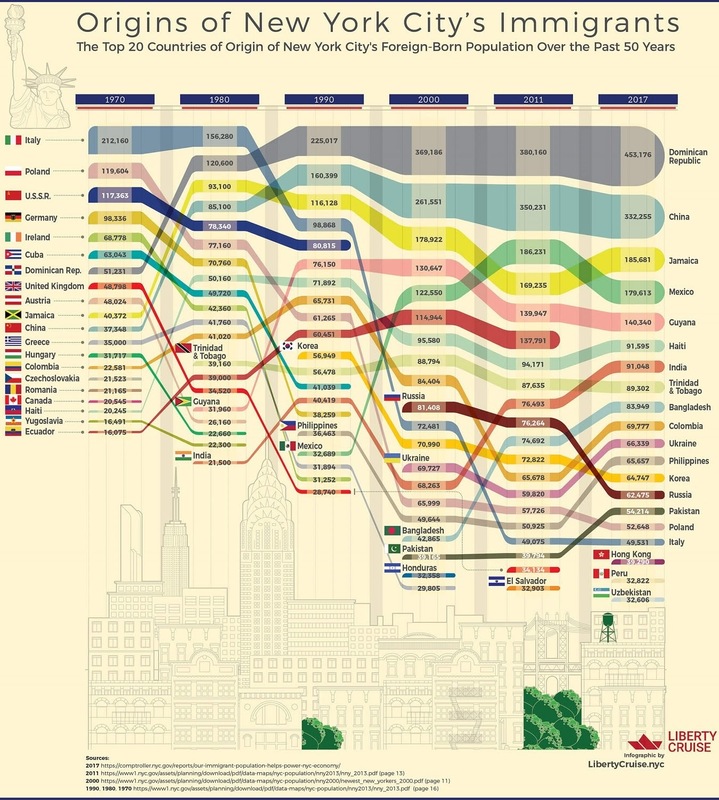 This infographic from Liberty Cruise (Which can be found at LibertyCruise.nyc) visualizes the top 20 countries of origin for NYC’s foreign-born population over the past five decades, from the 1970s to current times. It is no wonder that New York City offers a dazzling array of cuisine, art, music, and culture.